The remains of an abandoned mine shaft somewhere in Belgium. 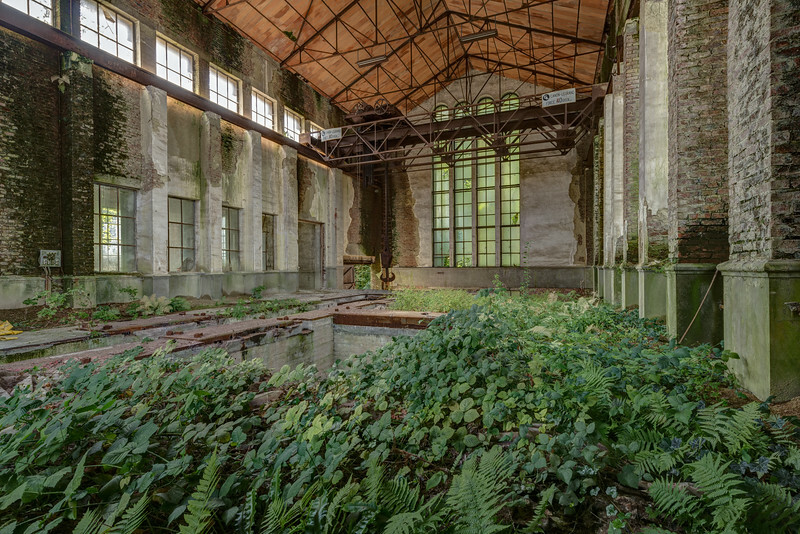 One of the main buildings is taken over by nature (almost an industrial green house)! Visited in September 2015.